Azhar is currently Head of Business Development at Muraspec, a global leader in the design and production of commercial and high-end wallcoverings. 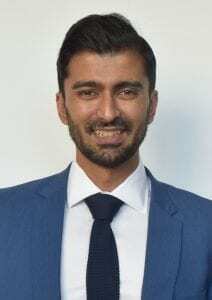 A previous student of Nelson and Colne College, Azhar’s background as an international Sales and Marketing Director in companies such as Graham and Brown, is under-pinned by his entrepreneurial and innovative approach and he is also an active Ambassador for social enterprises supporting business start-up. Azhar’s BSc is in Computer Science and Management Systems.